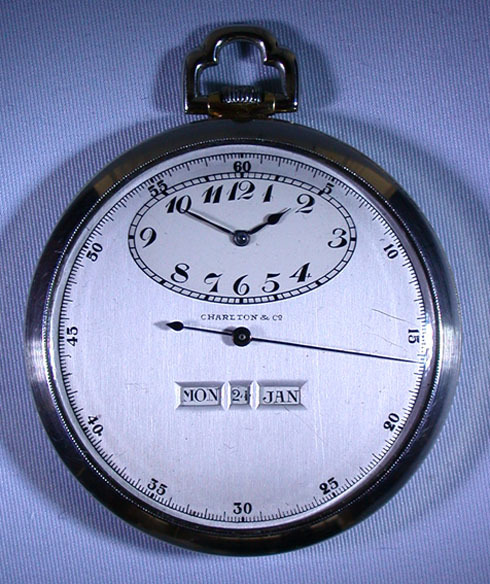 Fine, rare and handsome slim 18K yellow and white gold calendar sweep seconds antique pocket watch circa 1920. 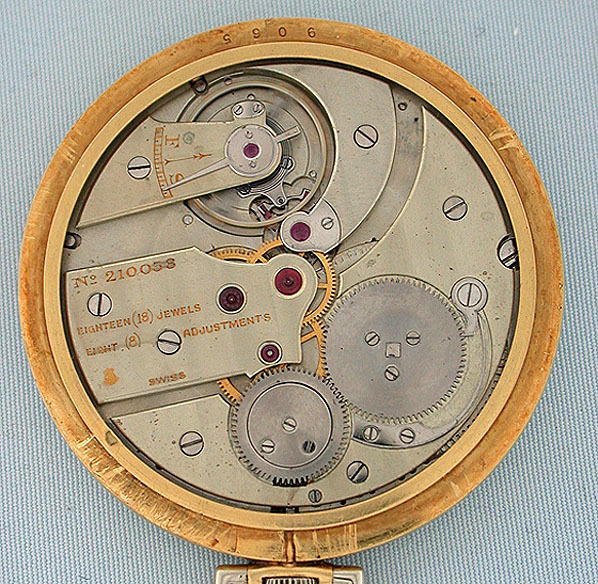 Original two-tone dial with eccentric time chapter, sweep center seconds, and apertures for the day, date and month. 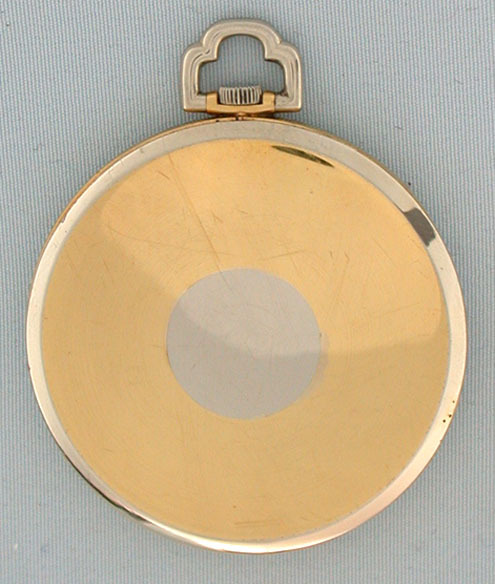 Two color Verger case with slightly domed back, perhaps the sign of an earlier repair. Fine 18 jewel 8 adjustment nickel movement.